The environment is an issue of prime importance at Aglomerados 2R, and this special perception has enabled us to successfully obtain certification in accordance with ISO 14001, complying with international standards of environmental management and playing our part in making this a better and renewable world. Furthermore, the correct maintenance of surfaces using 2R may lengthen the service life of the road and do away with the need to repave the same, thereby avoiding the consequent costs and generation of waste. Our appropriate prevention policy ensures small potholes do not develop and end up ruining the road. The products are non-toxic, thereby facilitating transportation and disposal in accordance with current requirements. 2R is not, therefore, harmful to the environment. 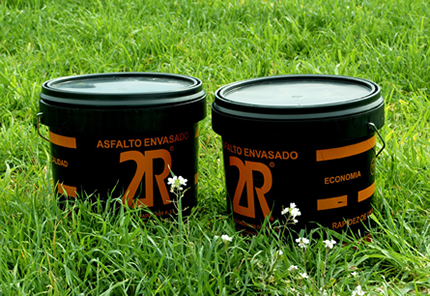 Our drums are made from recycled plastic.